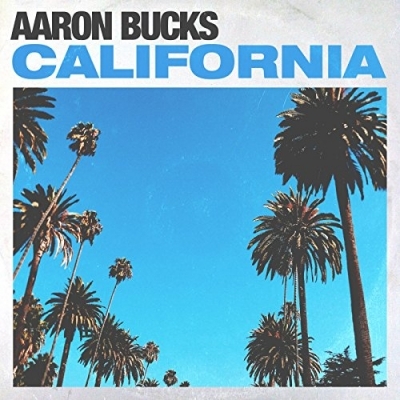 Radiate Music, in partnership with BEC Recordings, releases singer/songwriter and contemporary Christian music artist Aaron Bucks' debut single today titled "California." The song is available on all digital formats along with the official lyric video below. Produced by GRAMMY-nominated and GMA Dove Award-winning producer and songwriter Ian Eskelin, "California" was co-written by Bucks and Eskelin along with Doug McKelvey, and is a personal song that shares about the true meaning of friendship. "Everyone has moments in life where we feel isolated and that no one else has experienced what we are going through," Bucks explains. "I had a couple friends in my life who, during some tough moments, were there for me and chose to take the time to be my 'brothers keeper.' This song speaks deeply into that friendship and our camaraderie." While growing up in Vancouver, Canada, Aaron Bucks always gravitated towards music, but the pressure to pursue a conventional career kept him from taking his passion for music and songwriting seriously. Opting instead for culinary school, he spent every weekend performing at weddings and parties while also leading worship at his local church. Through encouragement from fans who’d heard him play and friends who knew his passion for music, an old acquaintance offered to help pay for him to record an album, which pushed him to reevaluate his career path and follow his music passion. Now newly signed to BEC Recordings in partnership with Eskelin's Radiate Music, Bucks is slated to release a full album later this year. Brandon Ebel, President of BEC Recordings/Tooth & Nail Records, shares, "I’ve known and worked with Ian Eskelin for almost 20 years and I couldn’t be more excited about this partnership. Ian played me Aaron’s music and his first single grabbed my attention right away. I look forward to working with Aaron alongside Radiate Music." "California" as a debut single is a great representation of who Aaron Bucks is, not only by his musical style but his character: full of life and a constant amazing energy. Cross Rhythms UK has already touted him with a "positive uplifting vibe and a laid back attitude." When asked what inspires him as an artist and a songwriter, Bucks shares, "Inspiration is literally everywhere, but the trick is to slow myself down enough to tap into it. One thing that inspires me is humanity itself, hearing stories of strength, perseverance, will, determination, love, faith, and yes, even the stories of failures and struggles move me. Ultimately wherever the listener may be in life, I hope my music can truly brighten their day."